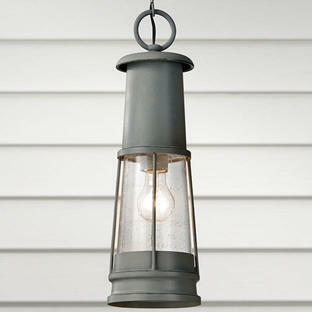 Elegant Italian styled hanging lanterns. 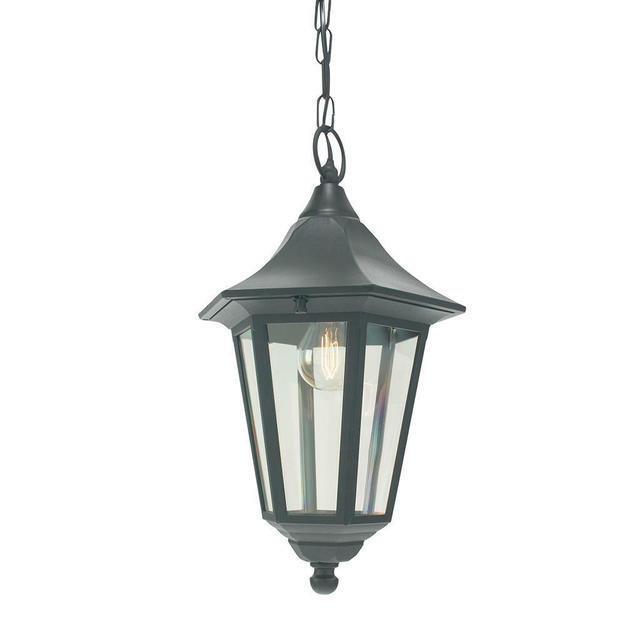 Part of the Valencia collection of lights, this die-cast aluminium hanging lantern has a black powder-coated finish and has a lightly tinted polycarbonate lens. 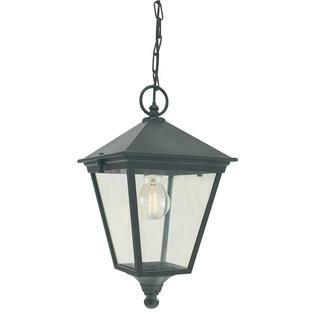 As with all our outdoor lanterns with glass or polycarbonate lens, a filament light bulb gives a real finishing touch to the lantern. 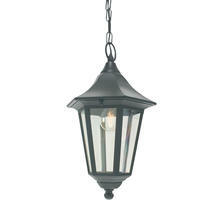 Also available in the same range are wall lanterns, pedestal lanterns and pillar/post lanterns. 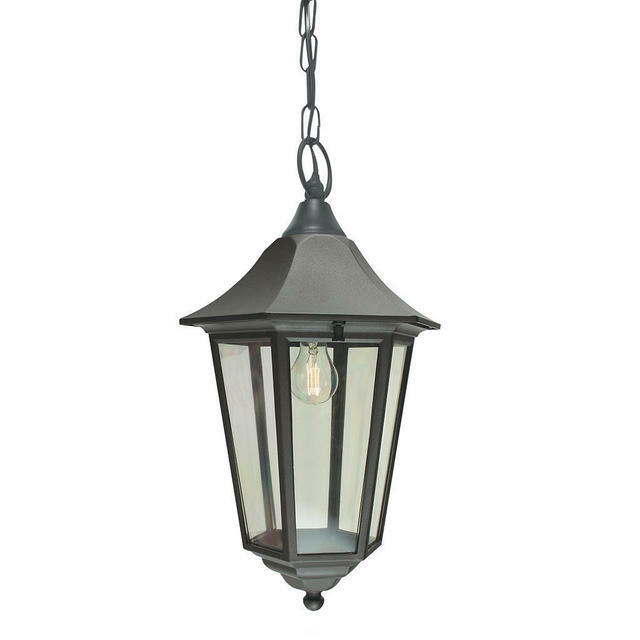 If you like the Valencia hanging lanterns but would like something larger please see the larger Valencia Grande Hanging Lanterns. 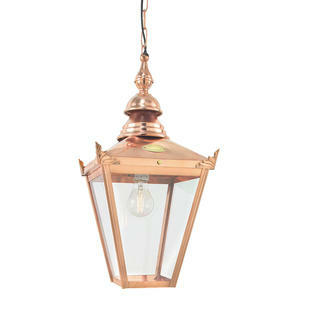 Please note you can order these lights in in black/gold and verdigris but they have a 3/4 week lead time. Please contact us for details on 0345 605 2505.